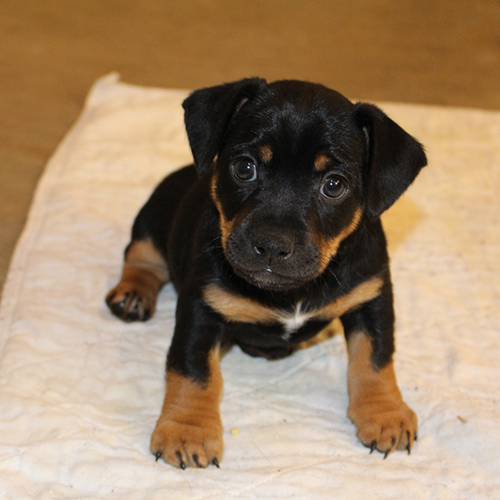 Puppies for sale - 2 Come see our Irish Black and Tan Jack Russell Terrier puppies. Shevaun and Ty's litter of four males and two females. 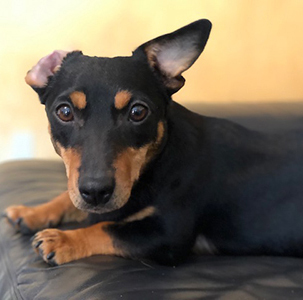 Shevaun and Ty's male, puppies picture taken on 4/3/19. 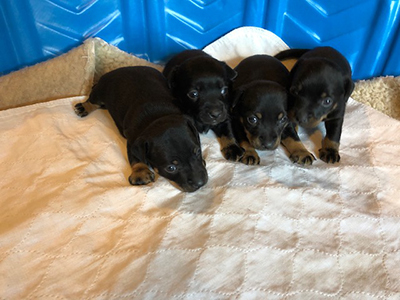 Shevaun & Ty's female, puppies picture taken on 4/3/19. 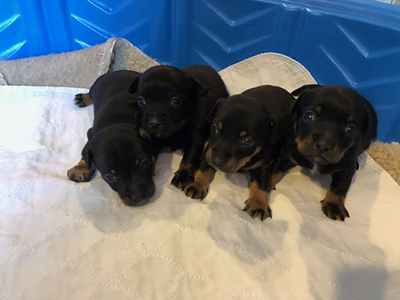 Shevaun and Ty's males, puppies picture taken on 4/3/19. 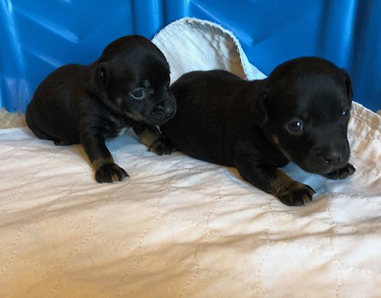 Shevaun & Ty's female, puppies picture taken on 4/3/19. A Bio Sensor stimulation exercises each puppy receives daily starting at the third day of life until the sixteenth day of life. Below are the five benefits observed in dogs that were exposed to the Bio Sensor stimulation exercises. We are great believers in Early Puppy Imprinting. It’s the process of handling all areas of the puppy's body, introducing smells and textures at an early age. At around day 10-14, once the eyes and ears open we add sight stimuli by slowly introducing colors, light and textures to the whelping box area and slowly introduce a large rapture of noises and sounds. As the puppies grow and mature more interactive and stimulating toys are added to the whelping box. The goal being a well balances, secure and self assured little puppy. All our puppies are Sound Socialized. We play a CD called "SOUND SOCIALIZATION", the soundtrack introduces environmental sounds and stimuli. Sound socialization training can have a positive impact on the quality of life for your new puppy. 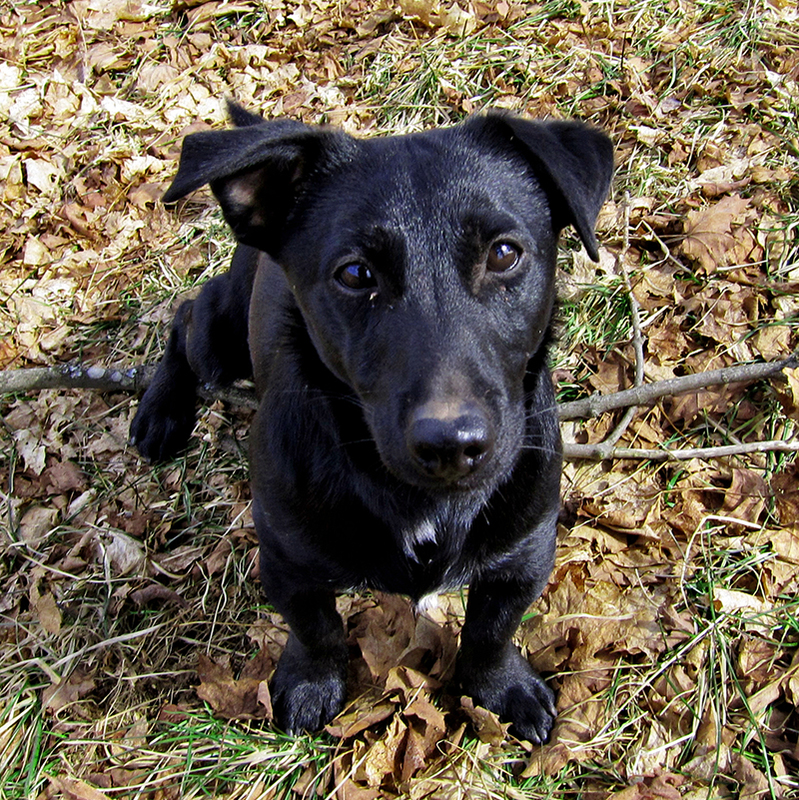 environmental sounds or stimuli once your puppy is are ready to go home. Another ongoing practice is called the “Rule of Sevens” developed by Pat Schaap. 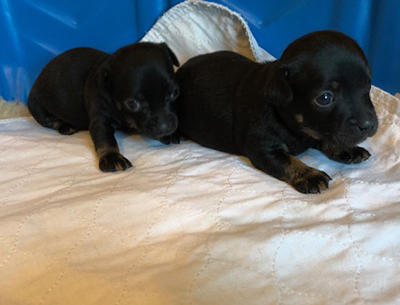 By the time the puppies are 7 weeks old, they have experienced seven different surfaces, toys/objects, locations, people, food dishes and eating locations. The puppies take the Volhard Puppy Aptitude Test (PAT) at 7 weeks old. Our puppies generally test within the 3 to 4 range. Scores in this range mean the puppies should make good companion dogs for most situation.